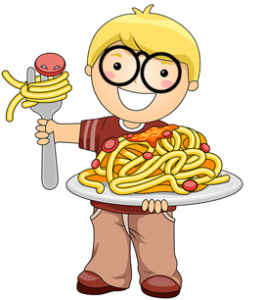 Treat Dad to a pre-Father’s Day Spaghetti Supper the day before his big day, and help us provide eyeglasses for the kids who need them in our local schools. Join us on Saturday, June 16, 2012, from 12 noon to 5:00 p.m. at Jimmy’s Family Pizza, 226 East Fest Street, between South Flores and Applewhite. (Map) $6 per plate for spaghetti, salad & garlic bread. Eat in or take out. Purchase tickets in advance from any Lion or at Jimmy’s Family Pizza. Tickets also available at the door. Questions? Call (210) 201-LION or email spaghetti@southtownlions.org. >>Click here to download a flyer. Visit the Spaghetti for Sight program website for more information about this project. This is the first in a series of articles explaining what Lions do for their communities. One common central goal for all Lions worldwide is preventing blindness and preserving sight. The Lions rallied to the cause and have taken up arms at every battlefront in the fight. From providing vision care and eyeglasses to those in need, to sponsoring vision screening clinics, to funding research and providing services and equipment to those with low vision, and even raising awareness about the causes of preventable blindness, like diabetes. Lions everywhere and through the years have committed themselves to preventing preventable blindness and helping the visually challenged lead healthy, productive lives. Going to Luminaria: Arts Night in San Antonio in nearby HemisFair Park? Swing by and fill up on a hearty spaghetti supper before the festivities! Visit www.spaghettiforsight.org for more information!